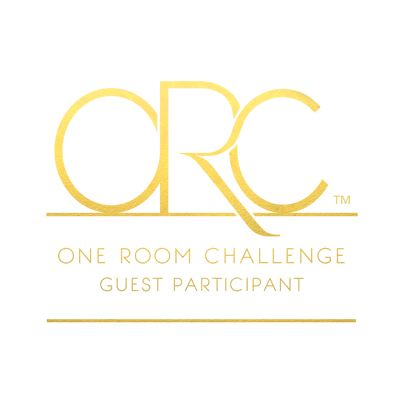 Today I am back with my progress on the One Room Challenge. 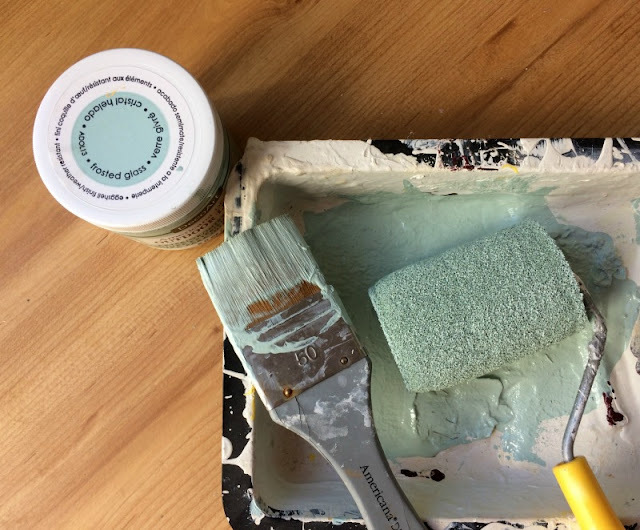 To refresh your memory, this is a twice a year blogger event hosted by Linda at Calling It Home that consists of a 6-week challenge where 20 featured designers and hundreds of design bloggers get to showcase a room makeover that they’ve completed in just 6 weeks. In my last post, I shared my space and makeover plan. Before we dive into my progress so far, let me step back and give you the background on this space. If you are new here, my hubby and I have spent the last two years completely renovating our basement. 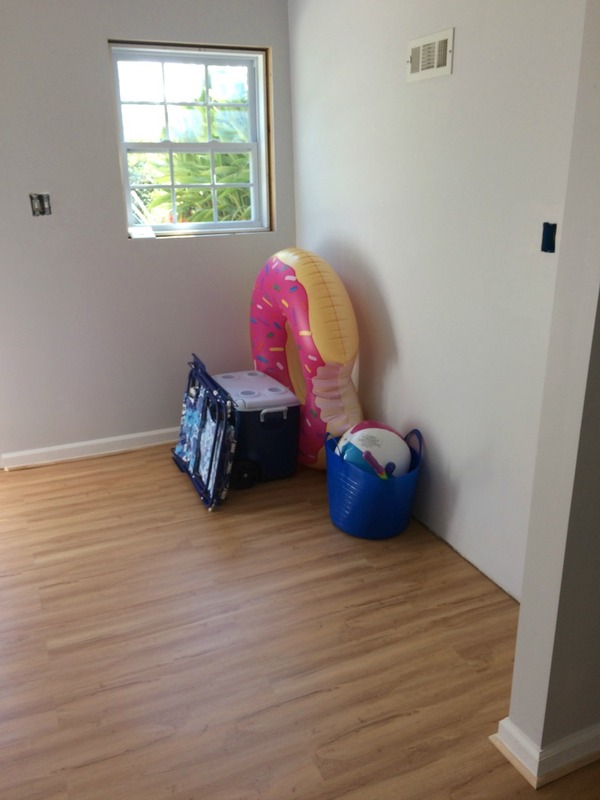 This space used to be a dark, narrow hallway and teeny bathroom. This picture was after we ripped out the bathroom, but you can see how small and dark the area was. OK, now that you are caught up, here is what I have been working on since last time! I painted the inside of the door a pretty green called Frosted Glass by Deco Art. I was so surprised (and happy!) when my hubby was immediately on board with my color choice! 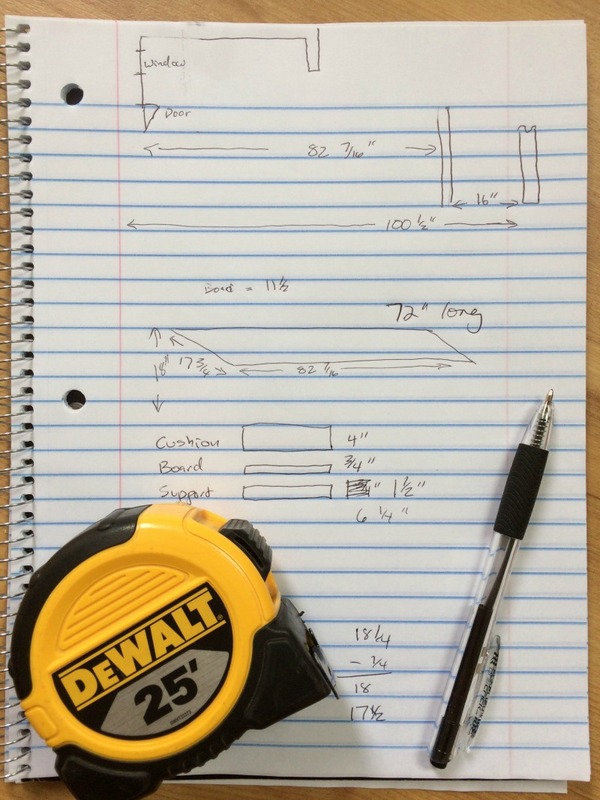 My hubby drew up the plans with all the measurements. Thank goodness for him, because this is not my strength! 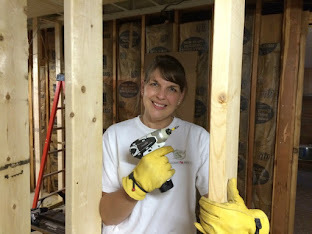 I am the one that wants to just start screwing the wood to the wall! We framed out the closet and bench. Within the closet we will also be adding some shelving and an outlet, so we can have somewhere to plug in our re-chargable batteries that we use for the stick vac and drills. 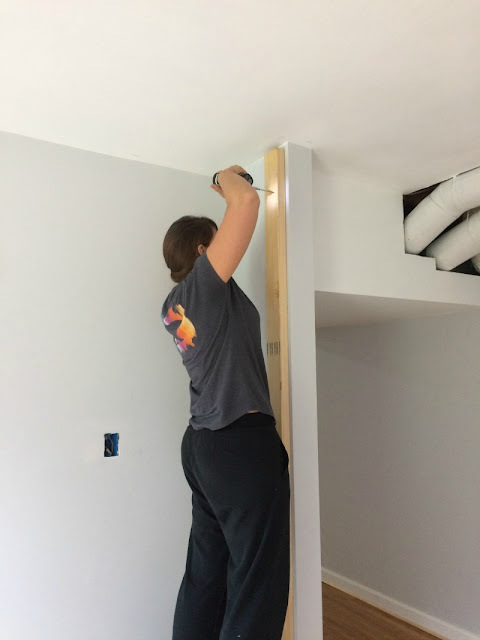 Our plan for this week is to finish cutting and installing the pieces for the top of the bench and dividers, paint the bench, and drywall the side of the closet. You can follow along in my Instagram stories for real time updates. Be sure to check out the 20 featured designers and other guest bloggers linking up to Calling It Home! Thank you suzie! I am blessed with a handy hubby, because I am not good at the design phase. 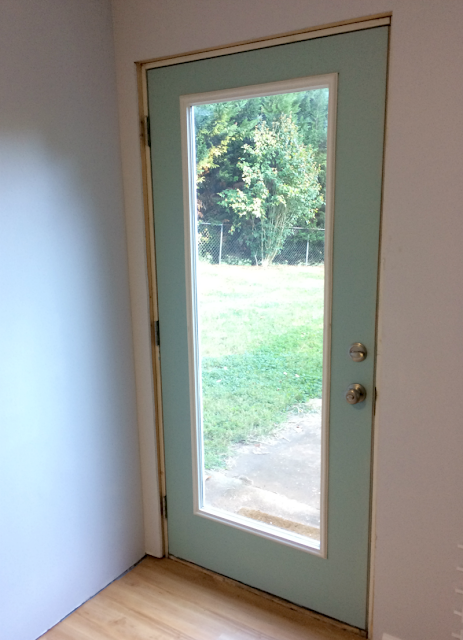 I LOVE the color of the interior door - such a fun pop of blue :) Looking forward to seeing the builtins completed! Thanks Kelly! This is one of my favorite shades! 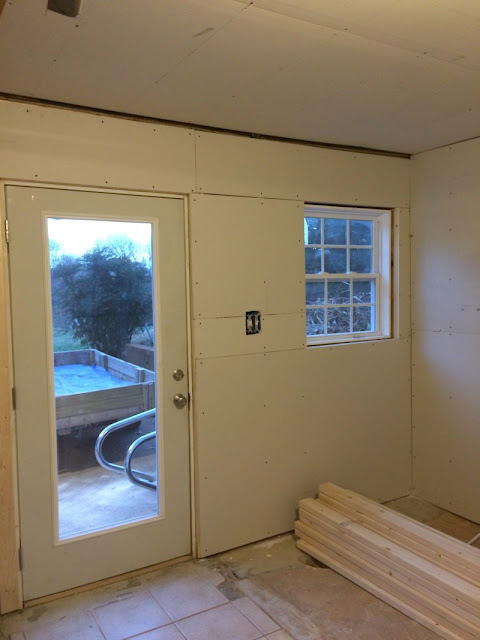 This is going to be great, mudrooms are so clutch! Good luck! Thanks! I have been wanting one for 8 years! I LOVE the door color and can't wait to watch those built ins go up!! Thank you! The door color is one of my favorites! I absolutely love built-ins so I can't wait to see how this project turns out. The space looks so much brighter already! Thank you! Hopefully the built ins turn out as good as we imagined them! That color is beautiful. I picked up a jar at Haven to paint my lake house door. I can't wait to see the reveal. I have used this color on several projects and will have to get more when I run out. That door color is spectacular!!! I am loving your plan for the space and built ins are always a good idea. I'll be sure to check back in to see how it comes together! 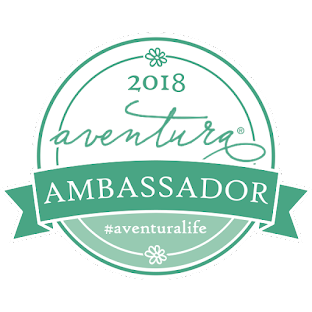 Thank you for following along! I hope it will all come together! Ok, you guys are so talented. Seriously, I wish you lived closer! This is going to turn out so nice, I just know it! Carrie, You are too sweet! I wish we lived closer too. I am happy with the results so far, so Hopefully it will come together! Love that door color! And wow! Your basement looks amazing! I need to gather the courage to finish mine soon. Thank you Emy! It has been a labor of love for sure, and not something I want to tackle again, but it is worth it! Looks like it fits the space perfectly, can't wait to see the end result! Thank you, we wanted to maximize the area. 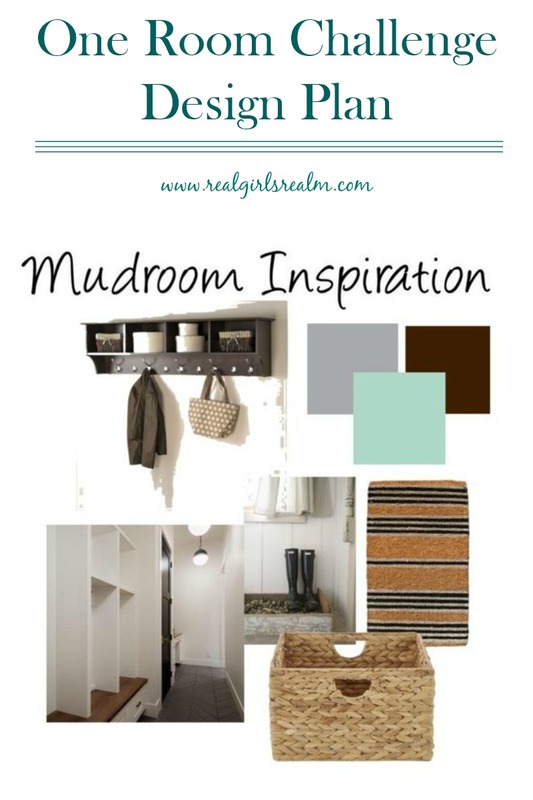 Can't wait to see how your mud room will turn out! It looks like it will turn out great! Thanks, I am excited to see it finally come together. Yes!!! This room is really coming along!!! 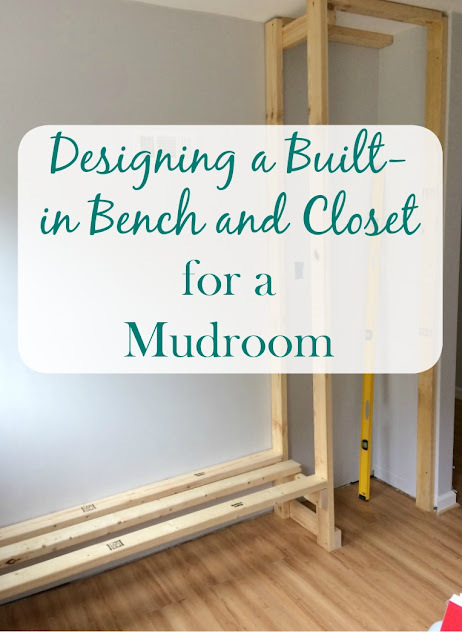 I love that closet and bench combo it is prefect for a drop zone as you come in the door. Love the paint color for your door, it makes me smile, and is one of my favorite color too!!! Thank you! I agree...and we can hide away the stuff we don't want to see! This is beautiful! It's already looking SO different. Can't wait to see how the structure unfolds. Thank you! I cannot get over the transformation myself! Oh Jenny, You are so sweet. I am lucky that my husband and I make a great team! I love that door color! 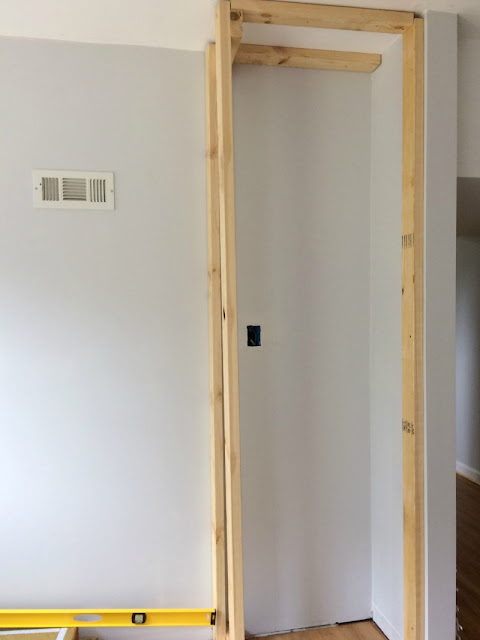 These built ins are going to look great! Wow what a project you have done!! Loving the closet and bench built in! Thank you! It was not even as hard as I expected! It's getting soooo close! Can't wait to see next week's post! I am in love with that door color!! I can't wait to see how the space comes together!! Thank you Jennifer! I am too! This is looking great Mary!!! Love your door color :) I can't wait to see next week!! Thanks Susanne! It is coming together nicely I think! Thank goodness for hubby's for sure! Mine does the same thing - i'd be lost without him! This is going to look so great! I love the door color too! Looks amazing so far! Love where this is going! I LOVE LOVE LOVE the blue on the door! So well done. Can't wait to see the reveal. The door turned out so fab! Thanks! So nice and bright! I love your door colour - looks fantastic! What a great door colour! 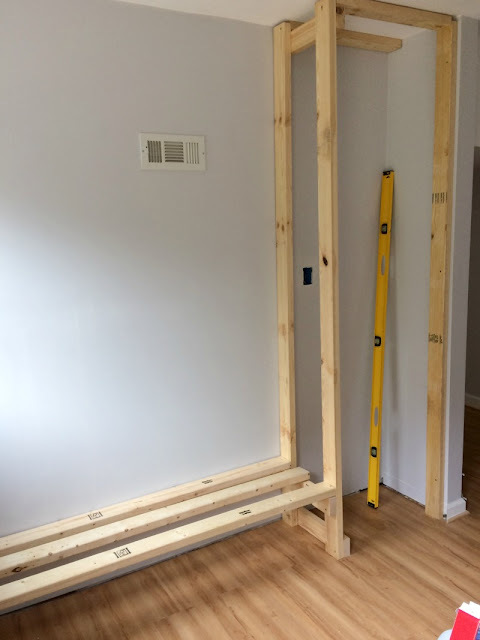 I can't wait to see the progress on the closet & bench! Thanks, I agree! The project is coming right along!